EE LING'S PLANET: The Dukan Diet - I have tried and it works! 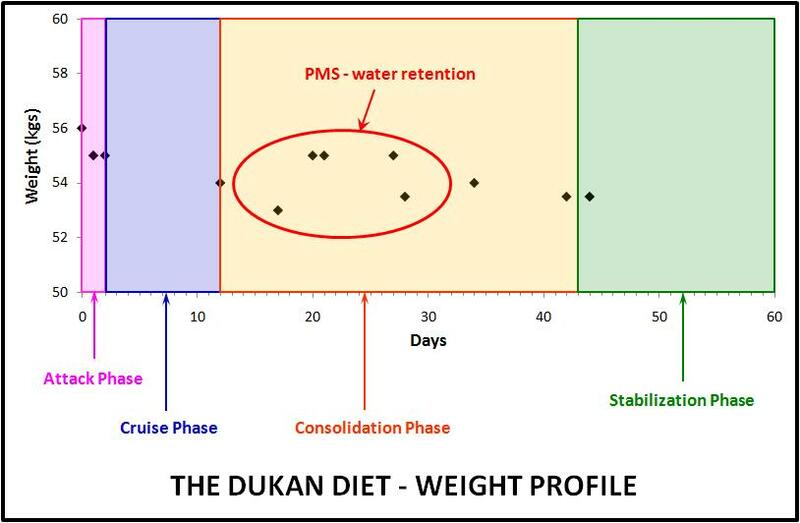 The Dukan Diet - I have tried and it works! I weighted 60 kgs. As the emergency alarm sounded, I reduced my carbohydrate intake, approximately a quarter, with no exercise. I weighed again and this time it dropped to 58 kgs in 2 months. This time, I added exercise, once a week (jogging and body toning exercises). My weight has gone down to 56 kgs but it took me 8 months to get rid of 4 kgs. 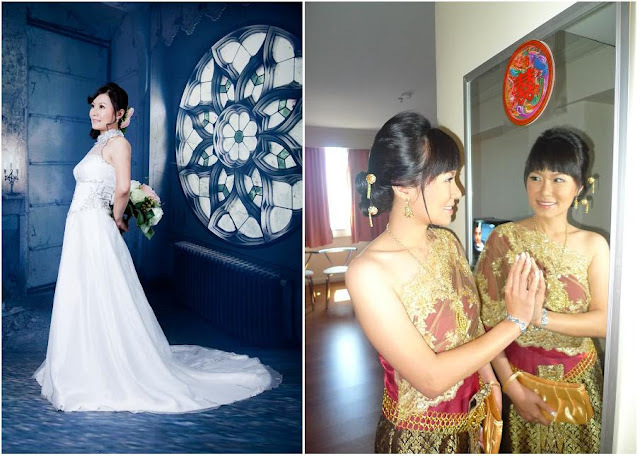 As my wedding date was drawing nearer, I needed to reduce the weight to 53 or 54 kgs at most. Somehow, be it by luck or by fate, my sister happened to hear from some one about Dukan Diet. Since this diet does not require any starvation, why not try it out - this was what have been playing in my mind. And surprisingly, before my wedding date, I managed to reach 53 kgs! Below is my weight profile that I have plotted in graph. It took me 44 days to lose 3 kgs and my complexion looks better than before. I can see my face glowing. The first and the last data point dated 15th December 2012 and 31st January 2013, respectively. Within this period, my waistline and thighs measurements dropped 1.5 - 2 inches! Isn't it incredible?! As you can see in the graph, tThere is a hike on day 20 but fear not! It was due to water retention as I was having my menstrual cycle. 3-4 days after the menstrual cycle, the weight will go back to normal again. The face and arms in January 2013 was clearly smaller than in August 2012. For the August 2012 photoshoot I had to adjust to make sure that the photographer will only take my thinnest angle. While January 2013 was just a random-normal pose.